Judith Kapferer and her collaborators present an insightful volume that interrogates relations between the state and the arts in diverse national and cultural settings. 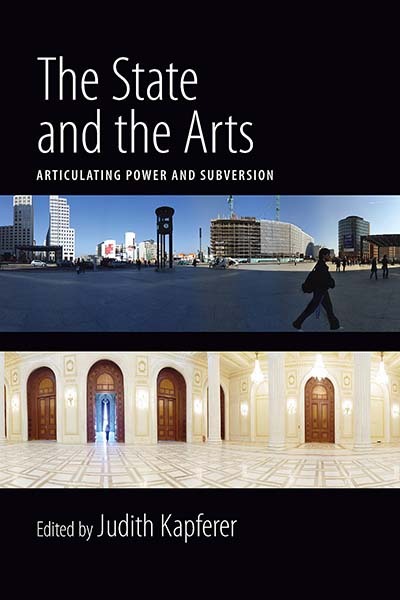 The authors critique the taken-for-granted assumption about the place of the arts in liberal or social democratic states and the role of the arts in supporting or opposing the ideological work of government and non-government institutions. This innovative volume explores the challenges posed by the state to the arts and by the arts to the state, focusing on several transformations of the interrelations between state and commercial arts policies in the current era. These ongoing challenges include the control of repressive tolerance, complicity with and resistance to state power, and the commoditization of the arts, including their accommodation to market and state apparatuses. While endeavouring to avoid the currently dominant pragmatic and didactic priorities of officialdom, the contributors tackle social and cultural policy and practice in the arts as well as connections between national states and dissenting art from a range of genres. Judith Kapferer is Professor of Sociology at the University of Bergen. She has taught in Australia, Zambia, the United Kingdom and Norway and is the author of Being All Equal (1996) as well as numerous articles on education, urban sociology and the sociology of the arts.